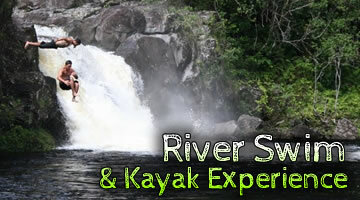 There are lots of questions we receive about our ziplining tours. Here are some common questions and answers we have provided you to increase your understanding of these exciting activities. If your question isn’t answered here please feel free to contact us by email or phone so we can help you further. 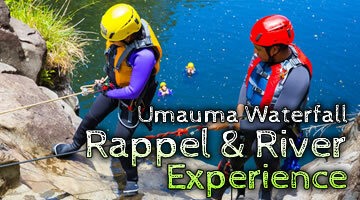 Zip lining is an exhilarating way to see the beauty of the Umauma River from a truly unique aerial perspective. Originally developed to allow biologists to observe the natural world high in the formerly inaccessible treetops, zip lines are steel wire cables that extend between tree trunks or cliff faces. Participants are securely strapped into a harness, which is utilized to slide down one of these cables at an angle of descent that allows riders to reach speeds upwards of thirty miles per hour. 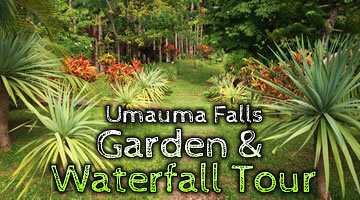 The longest cables at The Umauma Experience extend to more than Twenty Two Hundred feet. 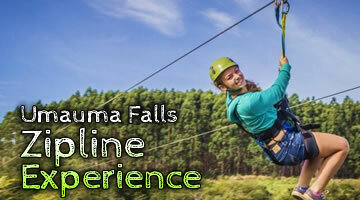 How long does the zipline tour take? 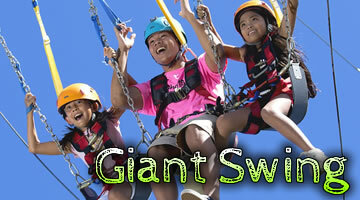 Our Zipline tours generally last somewhere between One -and-a-half hours to Three Hours. The tour length varies for each tour. Combination adventures can of course last longer. Instruction and travel time can add some additional time for each tour. What time should we arrive to the zipline? Guests should arrive 30 minutes prior to their tour time. 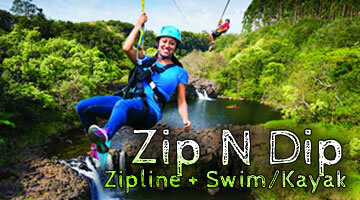 If you have a 10:00am zipline tour you need to arrive at 9:30am for check in. 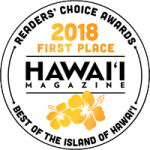 We put every effort into your experience to make it as safe as possible. Our extensively trained safety experts ensure that all participants are properly outfitted with the latest safety gear, including helmets and harnesses. 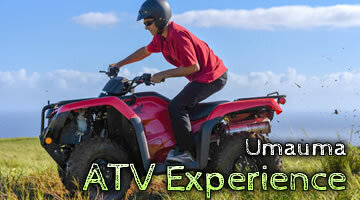 Our top-of-the-line equipment is meticulously inspected and maintained. Our first-aid-certified guides have hundreds of hours of safety training under their belt. Everyone will enjoy the once-in-a-lifetime thrills of ziplining, but some weight, minimum 35 pounds maximum 275, age minimum 4 years old, do apply – remember to inquire about these restrictions when booking your reservation. Closed-toe footwear, such as sneakers of hiking boots should be worn. Be sure to tie back long hair. Glasses should be secured with a strap. Make sure you remove any sharp objects from your pockets. Does the tour run rain or shine? Yes. Our tour runs rain or shine. We have rain shelters at each platform for the comfort of each guest. Yes. We have a 24-hour cancellation policy. Guests will not be charged if they call to cancel a tour before their 24-hour tour time. If within 24 hours we will do our best to resell the seats. If seats cannot be resold the guests will be charged full price of their tour.